I am a big fan of Italian Amari- bring on the digestivo! What could possibly be better after a big meal than a little glass of something sweet and bitter to calm your post-prandial belly? 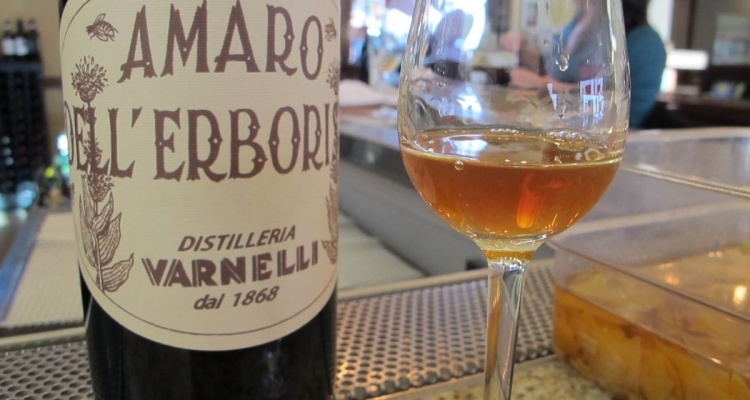 I recently discovered a new Amaro called Amaro dell’Erborista by the mad scientist-amaro-creators over at Varnelli. This is an Amaro to write home about. Amaro dell’Erborista is different from all the other Amari I have ever tasted because it is sweetened with honey, a flavor that lingers on the palate, even after some of the more medicinal, herbal notes begin to dissipate. The honey also gives the liquid an opalescent quality, which is quite pretty to look at. The liqueur smells like stewed rhubarb, cloves, Eucalyptus bark and a dried orange peel. It has a lot of interesting flavors too- Earl Grey tea, tamari, bitter herbal notes, classic cooking spices and of course that unctuous honey on the finish. Just lovely! Amaro is generally made by steeping a blend of herbs and spices in hot water, and then mashing this sludge to extract the various flavors and and aromatics, in a process called “decoction“. Varnelli is carefully to point out that they do not use any added flavors, colors, or preservatives. This is old school Amaro, made in small productions from a very old recipe. If you can find it, try it! 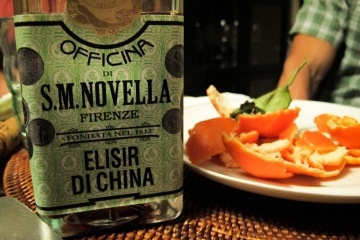 I am more of a liquirizia, finocchietto, and nocino gal myself, but I will have to look for that one. If in NYC, head to the Lower East Side and go to Amor y Amargo on E 6th St.! Talk to the bartender from Panama City and get yourself a 2 oz. pour, neat of course! Thanks! I am sure I will find myself back in NY at some point… will keep this place in mind! It’s really one of the best ever! Varnelli makes just awesome products! I couldn’t agree more! Just a classic producer! I recently had this. Blew my mind.